Having been fortunate to experience several different perspectives of being a mother. Collins has carried the role of a full-time working mother, the sole breadwinner of the family, a stay-at-home full-time mother, a working-from-home mother, a working and traveling mother, a military mother, and now a part-time working mother. Her experiences and diverse background allow her to provide comprehensive insight for new parents. With information on how to train your baby to sleep on their own, to how much milk they need, Collins’ story strives to provide the basic need-to-know building blocks for fostering confidence in your new role as a parent without all the superfluous stuff. 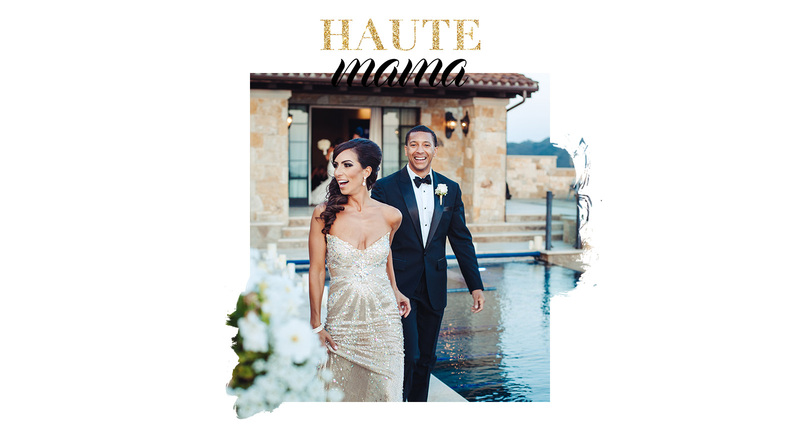 The information in Haute Mama book goes beyond Lamaze class and addresses the breakdowns in the romantic relationship with your significant other, the personal relationship you have with yourself, your health, fitness regime, and appearance. Put simply, this book is designed to empower you with the knowledge you need to make the rocky transition to parenthood smooth and enjoyable. Collins talks, she could not find books written by modern mamas striving for balance in all facets of their lives. She was terrified that there was no child-rearing manual that she could memorize and apply once her baby arrived. The author expressed, “we have to study and take an exam before we may operate a car, yet we are handed a baby in the delivery room and sent on our way without so much as a pamphlet or cheat sheet.” Moreover, present day parenting is not what it used to be. For starters, our generation has naturally shifted from full-time motherhood to balancing a career and baby. Additionally, the globalized nature of today’s workforce means that parents are less likely to live close to extended families. This means our relatives are not readily available to give us a couple of hours off. As if balancing a career and baby aren’t enough, our lives are magnified under the high-powered microscope of social media, where there are an endless number of critics eagerly waiting to comment on the manner in which we parent. With rules like “do not say no,” “do not discipline,” “tell them you love them, but not too much,” and more, being a parent can be incredibly tough this day in age. Everything is over-analyzed, broadcast on social media, and dissected to determine its psychological effects. Lastly, our significant others are now expected to care for the children and be more hands-on than our fathers and grandfathers may have been. Zeina J. Collins is a mother, wife, attorney, former model and beauty queen, business owner, fitness and nutrition enthusiast, and a fashion lover. She was born and raised in Beirut, Lebanon. Her family fled Lebanon during the country’s civil war after an RPG was launched through her older brother’s bedroom. Zeina is the definition of the American Dream. She came to the U.S. at a young age and could barely speak English. Since she only spoke Arabic and French at the time, she was placed in the English as a Second Language program. It didn’t take long for Zeina to master the English language and she was soon placed in the Gifted and Talented Education program. Zeina attended the University of California, Irvine, graduating in three years and earning a Bachelor of Science in Biology, before receiving her Juris Doctor from Southwestern University School of Law. She is a practicing attorney licensed in California and Hawaii and founded her own law firm in Southern California. 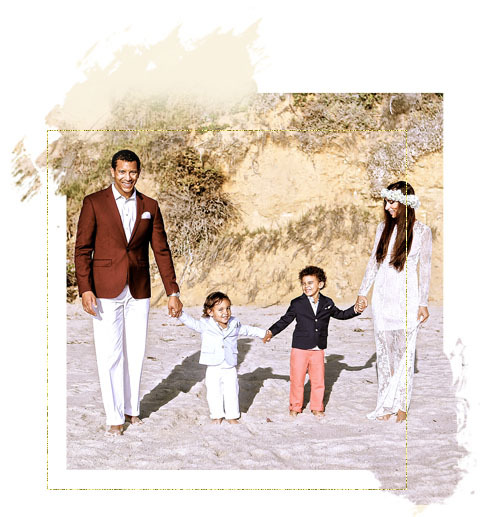 Zeina is blessed with her husband Shawn and their two little boys, Kaden and Kareem. Her husband is a Lieutenant Commander in the Navy Judge Advocate General’s Corps Reserves, as well as an attorney at the international law firm Sidley Austin. Shawn was by Zeina’s side when she became an American citizen and has always been her biggest advocate and supporter. Together they have lived in Hawaii, Japan, and now California.